The Japanese units sent to New Guinea and the Solomons were almost universally wiped out, not by Allied combat action, but by disease and starvation. This flag, captured by Digger volunteer Australian soldiers in New Guinea, has the names of all the men in the unit this flag was issued to. The large letters are probably a morale slogan. 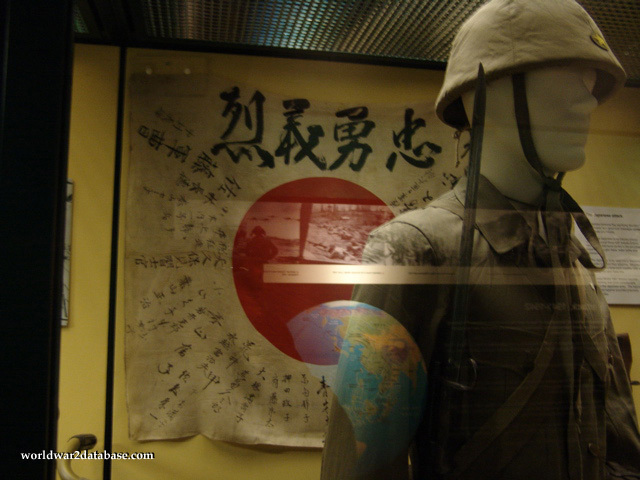 Note the Japanese helmet and ignore the terrible reflection.